ABSOLUTELY GORGEOUS FARM! 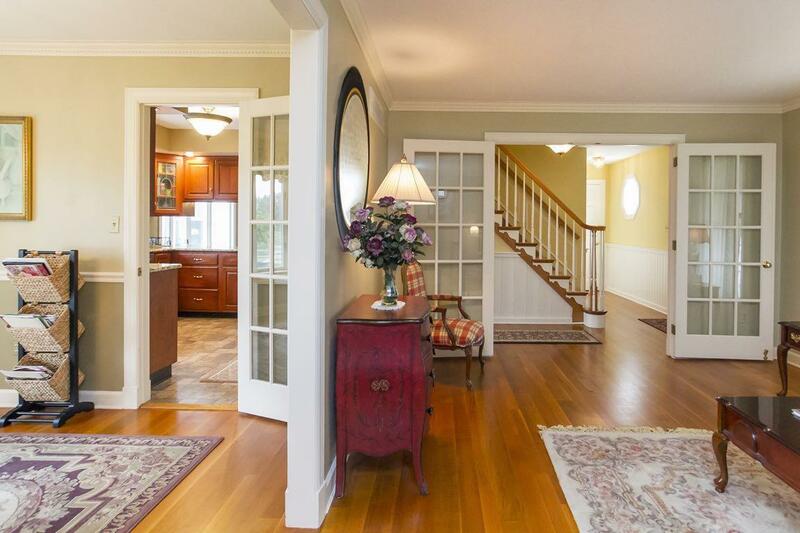 Includes upscale, beautifully maintained residence surrounded by gardens and lawn. 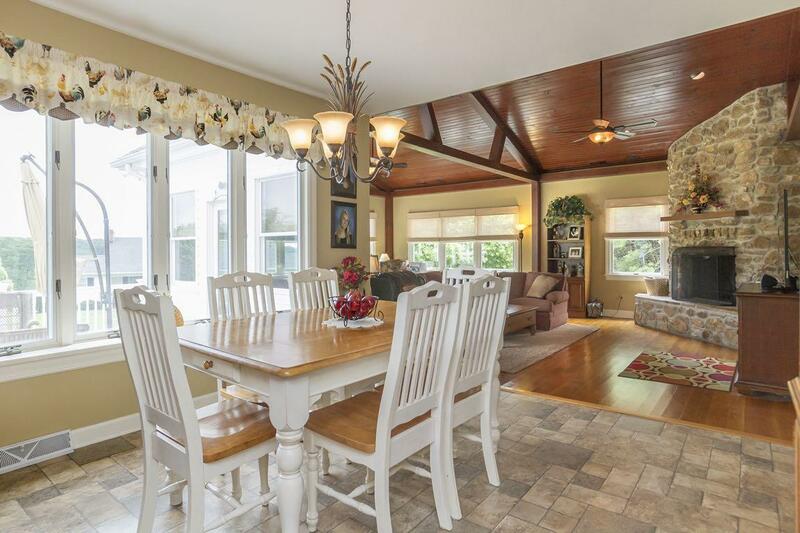 Rustic great room with wood beamed cathedral ceiling, great eat-in country kitchen, wonderful rear deck and lower patio....all with incredible views of the surrounding countryside. Walk-out lower level has spacious family room with a great connected bar/serving area, full bath, huge pantry/storage area, plus separate laundry room with loads of storage. Also included is a separately deeded and really cute ranch style tenant house with spacious rooms throughout, large updated kitchen, wonderful covered side porch and rear deck, with great views all around! Would accommodate handicapped or aging occupant but would make a great rental or caretaker home, too. Under that house is a huge 3 bay shop/garage with a lift for all your trucks, play cars, ATV's, etc. And that's not all! There are three additional separately deeded and approved building lots included in the sale along Fairfield Road. Keep for future sale or for friends or family. RIGHT ON THE MASON-DIXON LINE, with original 1767 marker on the property! 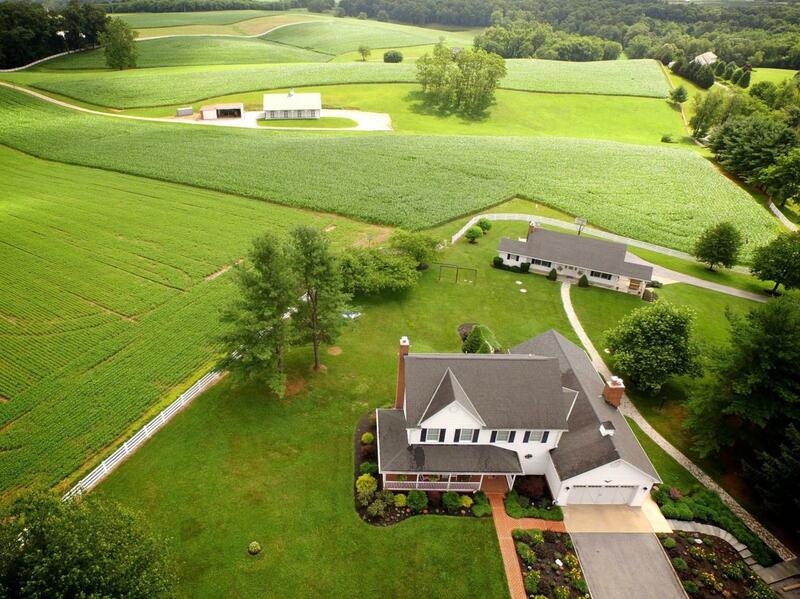 Location is convenient to shopping, farm services, and I-83 for easy commute north or south! 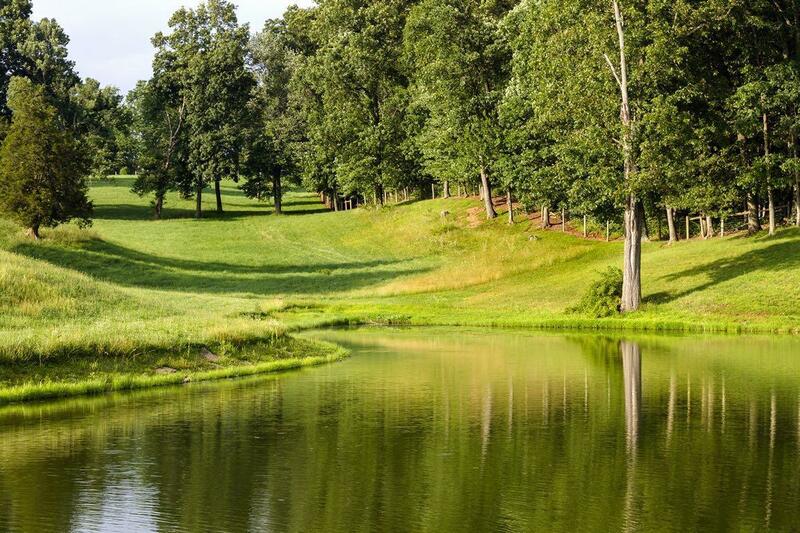 Private and serene fully fenced "back pasture" that includes small woodland and scenic stocked pond! Fishing and hunting on your own land as well as lots of space for all outdoor activities! Great farm buildings, too! Includes awesome 70'x40' pole barn with drive thru industrial sized garage doors, hay loft, floor drainage system, heated small office with half bath, and 8' covered overhang "porch". Separate 57'x32' equipment shed with electric and water. Entire perimeter has either 4 board white fencing or high tensile fencing but majority is being tilled . All gently rolling topography makes the land 100% usable! Property has been fully surveyed with all corners marked and visible. Both homes , buildings ,and the land have been meticulously cared for and are ready for the next owner to just move in and take over. There's some flexibility with relocating the existing additional building sites if new owner wants to build another home near the pond in totally private location. with final township approval. PERFECT for horses, cattle, or other livestock, or just to enjoy owning and living on this beautiful piece of land as a hobby farmer while you continue to rent the fields & pasture. Use the shop and barn buildings for your RV's vehicles, and toys, or make the pole building a party barn . Would be perfect as a compound for multi-generational living or sustainable farming. You can have your chickens, cows, gardens, goats, llamas, sheep, and put a bass or two on the table to boot! This is really the best farm buy in all of York County....don't miss it!